Lovely host and extremely clean rooms!! 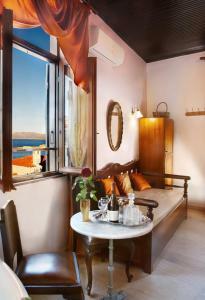 Beautiful room overlooking Chania harbour. The room is very cute and unique. The location is great (except we needed to find parking outside of the old town). Great location, easy access to the rooftop, nice view, and the good rate. Location was great, very close to the port and Main Street. The place was nice and quiet despite the crowds. The host provided us with complimentary wine on our arrival, he is also nearby in case we need him. Decoration is very nice, nice balcony, the room comes with a kitchenette and AC which is great for the summer months. Location in the old part of the port, nice staff, air conditioning, fridge in the room, jacuzzi bathtub in our room, daily room service (cleaning and change of towels), possibility of using an iron. 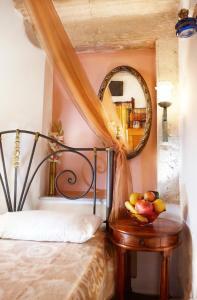 The room was cleaned daily and the staff friendly. Great location, just a few metres from the old venetian harbour. Great availability and welcoming with fruit and wine! The location could not be better. The building itself it's beautiful. 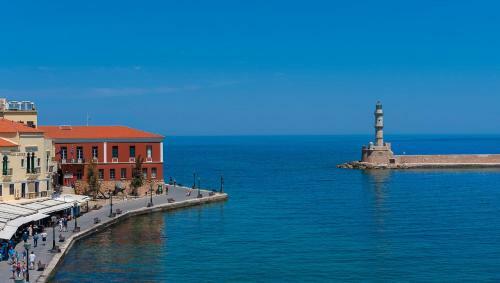 It has the charm of old Cretan architecture. We particularly enjoyed the balcony. Lock in a great price for Archontiko Evgenia Studios – rated 8.3 by recent guests! 150 feet from Chania’s Old Harbor and 1,000 feet from the beach, this complex offers traditionally styled studios in the heart of the Old Town. It has free wireless internet access and a rooftop terrace overlooking the harbor. 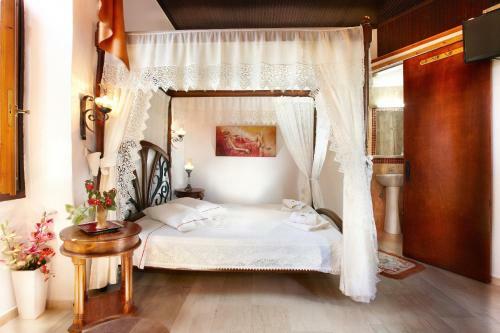 Each with free Wi-Fi, the self-catered studios are uniquely furnished and decorated in a traditional or romantic style. 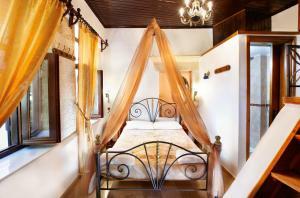 They feature 4-poster beds and warm colors. Other facilities include a satellite TV and fridge. 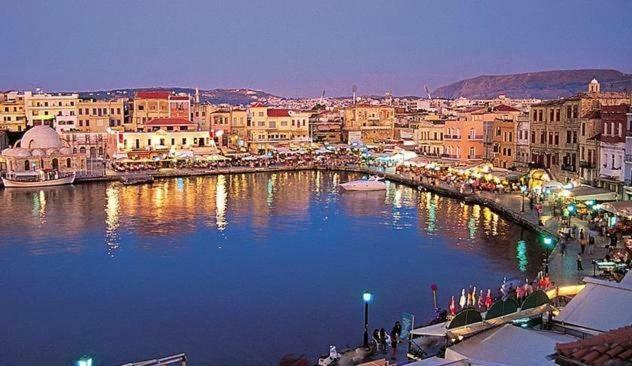 Evgenia Studios are within walking distance to Chania's beautiful beaches, restaurants, cafés and bars. Free parking is available nearby. 뀐 Located in the real heart of Chania, this property has an excellent location score of 9.1! 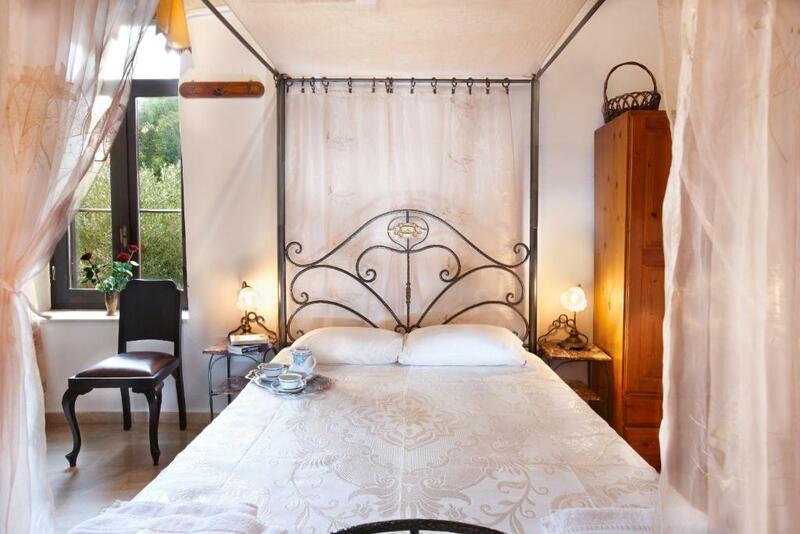 When would you like to stay at Archontiko Evgenia Studios? Traditional studio with a kitchenette for the preparation of breakfast. Features include a fridge, air conditioning, free Wi-Fi and satellite TV. The small balcony offers a view of the garden. Located on the top floor, these studios have direct access to the terrace. It features a kitchentte for the preparation of breakfast. 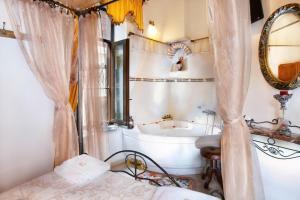 Romantic room with a hydromassage tub, and a kitchenette for the preparation of breakfast. Features include a fridge, air conditioning, free Wi-Fi and satellite TV. Breakfast essentials are provided. 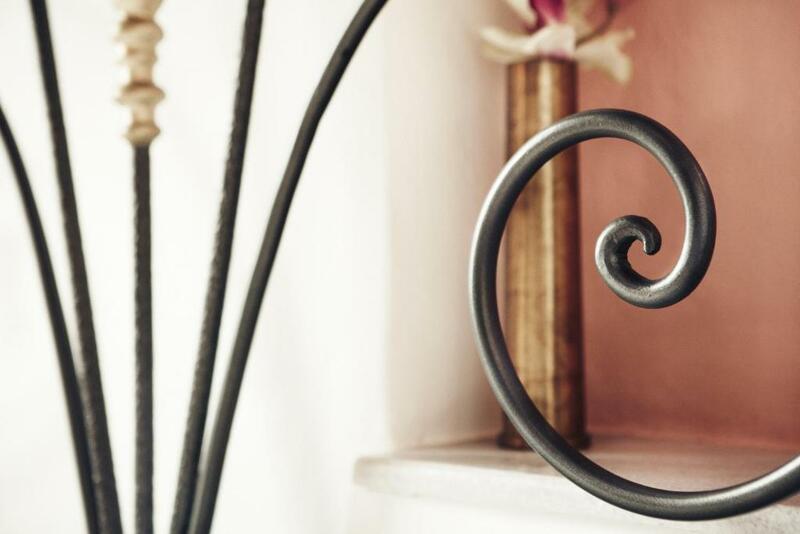 House Rules Archontiko Evgenia Studios takes special requests – add in the next step! Archontiko Evgenia Studios accepts these cards and reserves the right to temporarily hold an amount prior to arrival. The hotel requests that guests inform them of their estimated time of arrival, as the hotel does not have a 24-hour front desk. Please note that the kitchenettes are used for preparing breakfast and light meals and not for cooking. The shower area was a bit small. Bathroom size was a bit small, room with balcony not suitable for for families with more than 1 kid. Bed comfort was a minus and hosts could improve this aspect. There is not much that I did not like. Maybe the bathroom was too small. Very friendly owners. Room comfortable but small. We never met the host. When we got there no one was there to greet us (even though we had called previously with our arrival time). Someone from next door gave us the keys and when we left there was no one there either. Shower was not very clean.